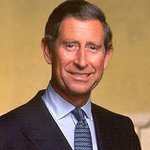 Prince Charles and the Duchess of Cornwall visited a Farmers’ Market in the small New Zealand town of Feilding yesterday, and LookToTheStars.org’s Tim Saunders was there. We are extremely proud of our Farmers’ Market in Feilding, and yesterday we had two very special visitors. 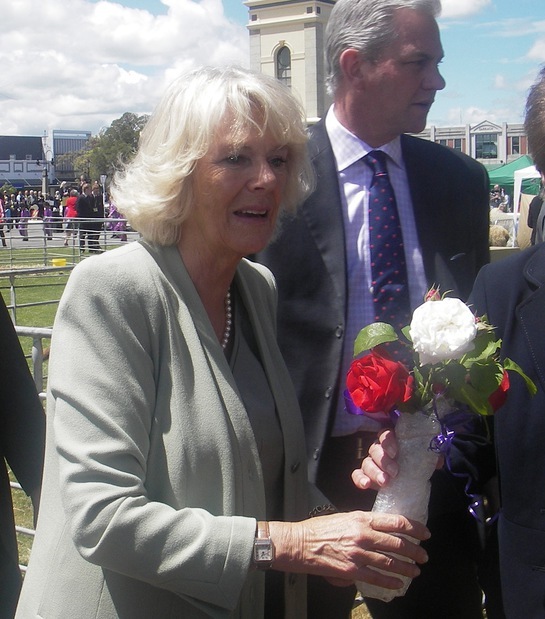 Prince Charles and Camilla, Duchess of Cornwall, took time out from their busy trip to New Zealand to visit our town and sample the homegrown and homemade produce from our corner of the world. It is not every day the Monarchy marches into our North Island town of 14,000 people. Feilding has been voted the most beautiful town in the country for more years than can be counted on your fingers, and yesterday we made sure the gardens were just a little more colourful, the streets just a little bit cleaner than usual. The Royal couple spent over an hour meeting the people of Feilding and walking around the Farmers’ Market, which was voted New Zealand’s best farmers’ market earlier this year. Homegrown produce is something close to the Prince’s heart, one of the reasons Feilding was included on the Royal itinerary. Back in the UK, he has his own organic farm, which he runs as a showcase for those who want to learn more about organic farming. He even sells his own produce from his farm, so he was more than happy to share ideas with store holders in Feilding. Rural lifestyles are high on his agenda, and he is patron of a number of organisations that preserve agricultural communities, such as Aberdeen Angus Cattle Society, Dry Stone Walling Association, Lleyn Sheep Society, National Hedgelaying Society, Poultry Club of Great Britain, Rare Breeds Survival Trust, Royal Agricultural Society of England and the Welsh Black Cattle Society. A number of farm animals were on display in Feilding’s square yesterday, and Charles was especially interested in the sheep shearing demonstration – he launched his Campaign for Wool in 2010 to raise awareness of the benefits of wool over synthetic fabrics. Camilla was more interested in the miniature horses on display – later in the day she visited Massey University’s Equine Research Centre. The Royal couple also met with the family of Feilding local Tim O’Donnell, the first New Zealand soldier killed in action in Afghanistan. Feilding turned on a hot and sunny day for the Royal visit, with reportedly the biggest turnout of onlookers of the entire tour lining the street to shake hands with the future king. Following the visit, the Prince visited a local farmer to witness sustainable farming techniques, and Camilla headed to Wildbase Hospital at Massey University, the leading veterinary care centre for New Zealand’s native birds. While there, she helped staff treat a rare kiwi currently in the unit’s care.